If you’re looking for a way to unblock and watch SwansTV in Wales, the UK and Ireland then this is the guide you need. In this guide I’m going to show you how by using a simple VPN app you can login to SwansTV and access their international package which will allow you to watch all the games in the UK and Ireland. The benefit of this is you can watch every match SwansTV shows, including the likes of 3 pm kick-off games, those shown on public holidays and any that have been earmarked for airing on Sky Sports or the like. 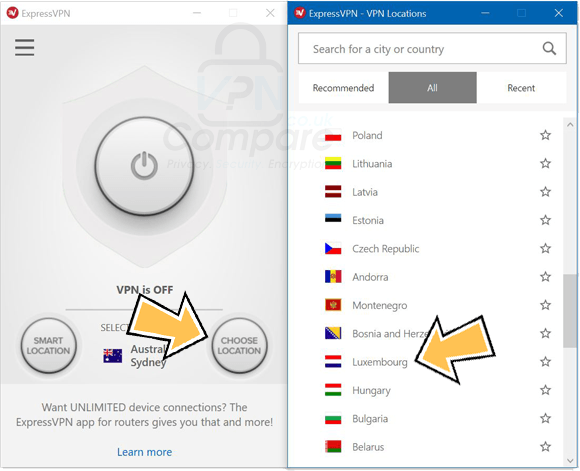 For this, I recommend you sign up for ExpressVPN but there are a handful of other VPN providers which are suitable which I’ll cover below. So if you want to watch Swansea City in the UK or Ireland keep reading. The first thing you’ll need to do is get yourself a VPN service. A VPN is a small app that allows you to disguise your location. If you’re in Wales for example then you can use a VPN to pretend you’re in the Netherlands or anywhere else in the world. VPN apps are available for all devices including Android and Apple iOS mobiles/tablets, Windows and MacOS computers/laptops and some services such as ExpressVPN offer Amazon Fire TV Stick apps too. My top recommendation is ExpressVPN. They’ve got a huge 30-day money back guarantee which gives you plenty of time to test it’s working. If you can’t get it working then just get all your money back. They’ve also currently got a promotion that lets you get 15-months for the price of 12. This saves up to 49% compared to paying monthly and if you want to watch the entire season then it’s well worth it to save some cash. Choose one of the providers above and then keep reading below to find out how to use the VPN to watch SwansTV. Once you’ve signed up for one of the three providers it’s time to use the VPN to watch SwansTV in Wales, the UK or Ireland. Follow the steps below to do this. I’m using ExpressVPN as my example and I’m starting from signing up. If you’ve already signed up then skip step 1. Once signed up search your regular app store for ‘ExpressVPN’ or download from the Products section of the ExpressVPN website. Open the app and login or activate it when needed. Then press All, Europe and finally click Luxembourg. 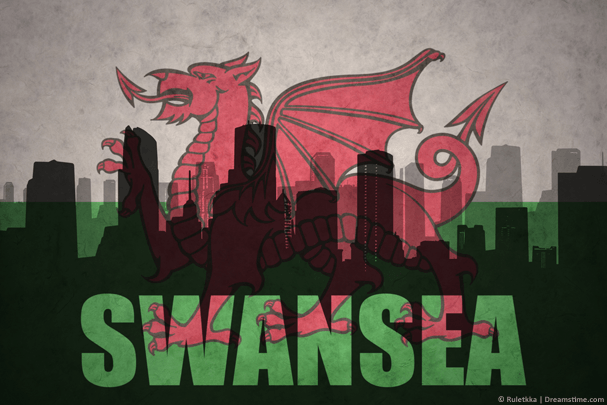 ExpressVPN lets you watch SwansTV in Wales, the UK or Ireland. Now you’re connected to the app you’ll need to visit the SwansTV website. Ordinarily, if you were in Wales, the UK or Ireland you would only be able to sign up for their limited streaming and audio package. Now you are ‘in’ Luxembourg you’ll have the ability to sign up for the ‘International Streaming’ package. Once you’ve signed up for the international streaming package you can login and watch all the matches they show live. You may be wondering why you should connect to Luxembourg in particular and not any other nearby country such as the Netherlands which is outside the UK or Ireland. The reason for this is because there are select countries that are known as ‘dark markets’. These are countries that have no agreements to show the football in their country. Many countries like the USA, Australia and others show English football on domestic TV networks which means Swans TV isn’t able to stream those games. By using Luxembourg which is one of the ‘dark market’ countries it allows you to access more games than if you were to connect to one of the other countries. To watch SwansTV in Wales, the UK and Ireland is actually a lot easier than you may think. To do this you’ll need to get yourself a VPN app. I recommend you use ExpressVPN because they’re running a promotion right now on their year package that gives you 3-months free, this saves 49% off over paying monthly. If you want to watch the entire season then it’s a big saving. If you’re a little unsure then there is also a 30-day money back guarantee which gives you at least 4 matches to see it working, if you can’t get it working then just get a refund. Nothing lost. The benefit of using a VPN is you get to watch all ‘3 pm kick-off’ matches, any matches shown on public holidays and any games reserved solely for one of the big cable networks. Click the orange button below to get ExpressVPN and sign up for their service. Then download their app for your device. Once downloaded connect to Luxembourg and then head over to the SwansTV website. You’ll now be able to watch all the matches live. How do you think Swansea City will do this season? I would love to know your thoughts so why not let me know in the comments section below.